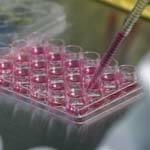 Stem Cell Banking Cost - What Are You Paying For? With stem cell banking, you are basically paying to have your umbilical cord stem cell donation transported and stored. Even if you reside close to a private cord blood banking company, your quote may not be much cheaper than those who live hundreds of miles away. Essentially, customers are paying for the time and expertise of blood cord banking staff. Should anything go array during the collection or transportation phases, the umbilical cord may be rendered completely useless. Remember that when you make the decision to invest in stem cell banking, your liaison may be called to the hospital at anytime. Women can go into labor months in advance of their due dates, and inclement weather and poor traffic conditions can make this process take even longer. For these reasons, many cord blood banks charge all customers the same flat rate. Not only do they have to get there quickly, they also have to conduct clerical work and keep the donation in a safe place. On average, stem cell banking procedures cost anywhere from $2,000 to $5,000. You can pay a deposit and then make payments overtime, but you will also be responsible for storage fees for each additional year. Also take into consideration the fact that you may not ever end up using your stored umbilical cord. Some medical professionals believe that a stem cell diabetes cure is only years away, however, your private donation will not be of much benefit to science. Stem cell banking is not always expensive. You can choose to freely give away your baby’s umbilical cord to a public bank, but you cannot expect to have access to it should your family experience a medical emergency.